Long before the time of Elves, even before the great Ice Age, there are those who dwell on the realm of Earth. These inhabitants are known as humans. But they are not alone. The Ancient Elders, in secret, created another species; one the Elves call the Guardians. Together these two species live and prosper. On Paer-Jhysael, the High Elves, the original members of Elf-Kin, step down as leaders, turn the responsibility over to their descendants, and give up their immortality. They choose to go to Earth to live out the rest of their mortal lives. They are accompanied by two Realm Jumpers, Taranath of the Fire Elves and Solana of the Moon Elves. What happens on Earth changes the lives of the Jumpers forever. 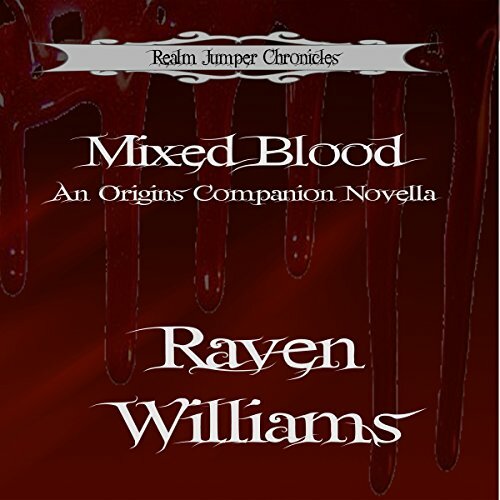 Mixed Blood is the tale of Solana and Izlal, her Guardian Mate. Join them on an adventure that changes not only their lives, but the lives of Guardians, humans, and the Elder Species alike.